The beginning of a new year always brings an array of tips for starting the year off healthy. You’re bombarded with it at the checkout lanes of the grocery store to every talk show on television. It can be difficult to take what you see from magazine covers and all the healthy smoothie recipes everyone swears by and work them into your everyday life. And what about your teeth? Where do they fall in being healthy for the New Year? Here at Cottrell Dental, we’ve compiled an easy to implement list for a healthy lifestyle, diet, and smile that you can help you jumpstart your year! Most people who don’t like the winter don’t know what to do when the snow comes. The answer is easy, PLAY IN IT! Snowshoeing: Snowshoeing provides a great cardio workout while building strength, agility, balance, and endurance. According to two independent studies conducted by Ball State University and the University of Vermont, snowshoers can burn between 420-1000 calories per hour. It’s a great way to get outside and enjoy the winter! Try the Rush Pond Trail System, Saratoga Spa State Park, Van Dusen Preserve, or Hudson Pointe. Cross Country Skiing: Nordic skiing is one of the best full body cardio workouts available. Using all major muscle groups (and some smaller ones you probably didn’t know you had), hitting the trails at Crandall Park or Garnet Hill will have you working up a sweat. Bonus, the trails at Crandall Park are lit at night for an after-work workout. Alpine Skiing/Snowboarding: Go hit the slopes with friends or family for an adrenaline rush at West Mountain. If you’ve never learned but have always wanted to, you’re never too old and it’s never too early to start the kids. West Mountain offers lessons for every age and level. Need some equipment? Check out Sports Page or the West Mountain Rental Shop for some gear. Walking: If the outdoors simply isn’t for you, indoor walking provides a great way to burn some extra calories during our long winter. Bring a friend to the Aviation Mall or Cool Insurance Arena for some laps. Eating right doesn’t require the latest fad diet or cutting out all your favorite foods. Eating in moderation and limiting processed foods is a lifestyle change that can have you feeling good for the long haul. Check out your local farmers’ market: Even though it’s snowing, local farmers’ markets have moved indoors and are still going strong. Check out the Glens Falls Farmers’ Market Indoor Market every Saturday 9am to noon at the Sanford St. School or the Saratoga Farmers’ Market every Saturday 9am to 1pm at the Lincoln Baths Building in Saratoga Spa State Park to find some fresh meats and produce. Weight loss apps: If you are looking to lose some extra holiday lbs, try a weight loss app. Keeping track of calories and being accountable for what you eat can make a big difference. Try the MyFitnessPal or FatSecret apps for free. Be aware of ingredients: Know what you’re eating. Consuming too many added sugars can lead to health problems such as weight gain and obesity, type 2 diabetes, heart disease, and tooth decay. According to the 2015—2020 Dietary Guidelines for Americans, added sugars can be found on the ingredients list under names such as brown sugar, corn sweetener, corn syrup, dextrose, fructose, glucose, high-fructose corn syrup, honey, lactose, malt syrup, maltose, molasses, raw sugar, and sucrose. 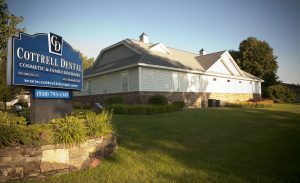 Start the New Year off right with your oral health. According to CDC data, 91% of adults (aged 20–64) have had tooth decay in their lifetime, 27% have untreated tooth decay, and more than 50% are missing at least one tooth (not counting wisdom teeth). Whether it’s finally getting that waterpik that Karen has been on you to get for years or replacing the tooth you lost when you were younger, make 2019 the year to take control of your health! Water pick: Periodontal disease is a chronic inflammatory disease that affects the gum tissue and bone supporting the teeth, according to the American Academy of Periodontology. If left untreated, periodontal disease can lead to tooth loss and research has also shown that periodontal disease is associated with other chronic inflammatory diseases, such as diabetes and cardiovascular disease. The CDC has found that 50% of Americans over the age of 30 have periodontal disease. Water picking is a great tool to have in your arsenal for hygiene. Water picking is not a replacement for floss but can greatly help remove food debris and plaque from accumulating between teeth and under the gums as well as stimulating blood flow in the gums. Try the countertop Waterpik models (more options and control than the cordless models) or the Oral Breeze shower head attachment. Electric Toothbrush: Electric toothbrushes are more effective than manual toothbrushes at removing plaque from teeth and reducing the risk of periodontal disease in clinical studies. We recommend an oscillating electric toothbrush in contrast to spin brushes that may have a higher chance of causing recession (and possibly sensitivity) than oscillating heads. Try the Sonicare or Foreo models for a clean feeling. Treatment: As the holiday rush has receded, time to focus on your oral health! Appointments and treatment needs tend to take a back burner to the hectic shopping, wrapping, and planning for family get-togethers. Give some attention to those smiles!